A.M.T Electronics – quick and reliable networking support, hardware setup, software installation and onsite computer repairs in Melbourne. All kinds of Electronics, PC Computer & Apple Mac Repairs. Fast and reliable computer, Mac and laptop repair service. A.M.T Computer Services offer a complete on-site computer repair service to homes and businesses across Australia. 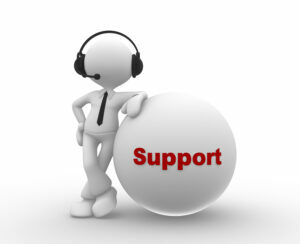 IT Support, Networking Help, Software and more. Soldering, Repair, and Troubleshooting various electronic equipment. Upgrading your existing computer components. Simply Contact Us for more information Phone: 1300 725 944 or write us. This entry was posted in Computer, Mac, Repairs, Service and tagged Anti-Virus, Apple Macbook Pro Repair Near Me, Apple Macbook Repair Near Me, Australia, Best Price, Cheap Computer Repairs, Computer, Computer Repairs, Computer repairs Melbourne, Computer repairs near me, cracked screens, Data back-up, Data Recovery, data retrieval, Delivery, expert repairs, Fast and reliable, Fast Repair, Faster Computer, guarantee, Hard Drive replacement, Hardware Setup, How to fix my macbook, IT Support, Laptop, laptop repair service, Laptop Repairs, Mac Computer Repair, Mac Repair Melbourne, Mac Repairs Melbourne, Mac Screen Repair Near Me, Macbook Air Repair Melbourne, Macbook Air Repair Near Me, Macbook Air Screen Repair Melbourne, Macbook Air Screen Repair Near Me, Macbook Pro Replacement Screen Near Me, Macbook Pro Screen Repair Melbourne, Macbook Pro Screen Repair Near Me, Macbook Repairs Melbourne, Macbook Screen Repair Melbourne, malware, Melbourne, Melbourne Apple Macbook Repair, Melbourne CBD, Melbourne CBD Mobile On Site Computer Repairs, Melbourne iphone Repair, Melbourne Macbook Air Repair, Melbourne Macbook Air Screen Repair, Melbourne Macbook Pro Screen Repair, Near Me, Networking Help, Onsite, Onsite computer installation, Onsite computer repair, onsite computer repairs, Onsite notebook installation, Onsite notebook repair, PC & Mac Repair, Quick and Reliable, Quick Repair, Reclaiming Data, Repairs, Same Day Repairs, Screen Repairs, Service, software corruption, software installation, Spyware Removal, To You, Upgrading software, Urgent Repair, Virus removal, Water damaged. Bookmark the permalink.